At the edge of human existence, the Isfjord Radio Station is 90km from Longyearbyen and stands in isolation with only the wilds of Svalbard and the Arctic Ocean for company. It is a destination that offers you silence and drama, and one at which you are in the hands of Mother Nature. It is like no where else in Europe, and potentially the world. Our six night itinerary combines Svalbard’s capital with this wilderness hotel. An adventure that will excite your senses and leave you with a lifetime of memories. On arrival at Longyearbyen airport you will be transferred to the Basecamp Hotel. Overnight at the Basecamp Hotel in Longyearbyen. 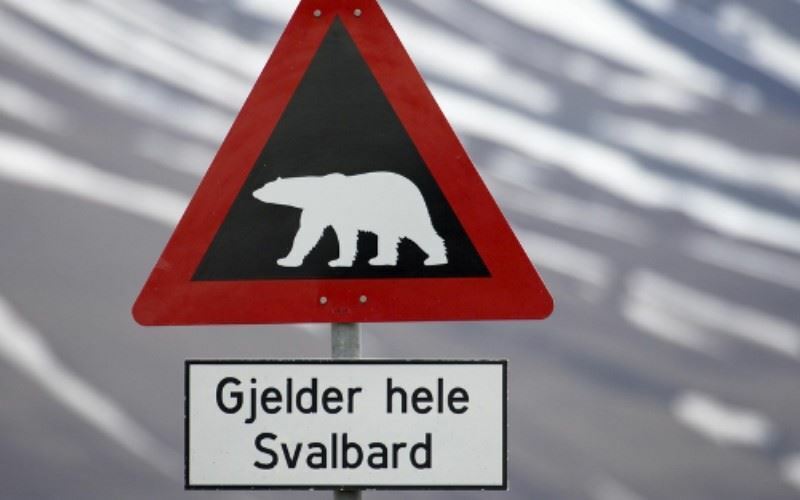 Take the time to visit the Svalbard Museum which houses exhibitions covering a range of topics including geography, climate, geology, flora, wildlife, polar expeditions and hunting. It is an excellent introduction to the islands and highly recommended by the Sunvil team. Tours of Longyearbyen are available and can be pre-booked by Sunvil. There is no better way to get close to nature than to take a walk. Today, we have included a full-day guided hike on the Nordenskiöld glacier that will challenge you both physically and sensually. The tour starts with a rib-boat safari along the Isfjord, a magnet for wildlife during the summer months. Keep your eyes peeled for seabirds, walruses, belugas and even polar bears. Your hike on the glacier will put you at one with the arctic nature and will afford plenty of opportunities for photographs. A wilderness lunch and evening meal are included before returning to Longyearbyen by boat. From the glacier to the outermost part of the Isfjord. Your transfer is by boat and will offer you the chance to observe the fantastic fjord scenery at close quarters. The journey includes a stop at the Russian settlement of Barentsburg and a guided tour of the mining town. Lunch is provided on arrival at the Isfjord Radio Station, before your guide leads you on a tour of the Cape Linné district. Whilst remote, the Isfjord Radio Station is a beautiful boutique hotel of charm. Guests are welcomed as friends. There are no airs and graces, and yet there is an underlying level of quality and comfort. Here you explore, experience, learn, eat and relax together as a group. Overnight and evening meal at Isfjord Radio Station at Cape Linné. * It is important to note that to move outside of the Isfjord Radio Station Hotel you need to be accompanied by a guide at all times. Free time at the edge of the Isfjord. A range of guided activities* can be pre-booked for guests, depending on the day of your stay: wild swimming in the fjord, sauna experiences, guided hikes, canoeing and birdwatching. Lunch, evening meal and overnight at the Isfjord Radio Station at Cape Linné. * It is important to note that to move outside of the Isfjord Radio Station Hotel you need to be accompanied by a guide at all times. After breakfast, there is time for a guided hike or maybe a swim in the Arctic Ocean followed by a sauna. Lunch is served before you depart towards Longyearbyen. On arrival in the capital you will be transferred to the Basecamp Hotel. After breakfast you will be transferred to Longyearbyen airport for your return flight to the UK. As you enter Basecamp Hotel in the centre of Longyearbyen, you are welcomed with the warm glow of candlelight against driftwood panelled walls and, on occasions, the inviting smell of freshly cooked waffles. As you enter Basecamp Hotel in the centre of Longyearbyen, you are welcomed with the warm glow of candlelight against driftwood panelled walls and, on occasions, the inviting smell of freshly cooked waffles. The atmosphere is both homely and rustic, making you feel instantly at ease and comfortable. The focus of the hotel is on the public communal areas, where guests are encouraged to meet and share experiences from their travels. There is a open-plan lounge and dining area, each adorned with pieces of wooden carved furniture, local handicrafts and pictures and memorabilia which depict the history of the archipelago and tells stories of the trapper’s who were based here in the late 18th and 19th centuries. This is an intimate and sociable hotel, and with only a handful of double and twin rooms - early booking is recommended. Cape Linné, on the island of Spitsbergen, is home to the Isfjord Radio, originally an important telecommunications link between Svalbard and mainland Norway. Established in 1933, 90km away from the civilisation of Longyearbyen, the station was destroyed during the Second World War before being re-built. Today parts of the old establishment have been preserved and in 2013 Isfjord Radio was awarded the St Olav’s Rose – the hallmark of Norwegian Heritage. During the winter, when a blanket of snow covers the island (mid February to April), the property is reached by snowmobile or dog sled (approx. 6 hours with stops en route) and in the summer (May to September) arrival is by rib boat (approx 1½ hrs), across the Isfjord.